How Do You Handle Customers if the Card Machine Breaks? Retail jobs involve dealing with the public, handling money, and solving problems under pressure – all of which can be stressful, especially if you’re new to the industry. As a result, most hiring managers for retail positions will ask job interview questions designed to figure out if you can cope well with the stresses of working retail. Grace under pressure. Many employers value workers who have good problem-solving skills, but in retail jobs, there’s an extra wrinkle: when things go wrong, you’ll need to find a solution … while keeping your cool in front of customers. You may want to come to the interview prepared to tell a story about a time when you coped with an emergency at work. Customer service skills. In addition to dealing with stress well, retail workers must demonstrate a positive attitude, empathy, and self-control, among other customer service skills. When you discuss how you would cope with the card machine breaking down, make sure that you demonstrate how you would use these skills. Related job experience/instinct for retail. If you have retail experience, this question provides you with an opportunity to show that you’re familiar with these kinds of emergencies. If you’re new to the industry, you can use your answer as a way to demonstrate that you understand what your priorities should be and that you can handle emergencies well. Possibly, math skills. Some hiring managers will follow up with a question to test your math skills. Be prepared to show that you can do simple calculations, such as adding sales tax. The answer can depend on what the individual store policy is, as well as the type of machine. There are a variety of card swiping technologies on the market today; you can use your answer to show that you have some knowledge of how they work. Some stores have the ability to take the credit card information, and manually authorize it after the machine comes back up. Others will ask customers to pay another way, or be patient and wait for the machine to come back online. 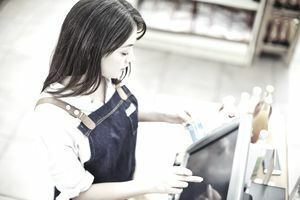 You should prepare an answer that highlights your interest in providing the customer with the most positive shopping experience possible, despite the inconvenience of the card machine being down. The manager will want to know that you are committed to completing the sale while making sure that the customer leaves with the feeling that their needs were met. First, apologize for the technical failure. While most people understand that sometimes things don’t work the way they are supposed to, customers are often in a hurry and may be impatient to complete their transaction. Plus, as industry veterans know, there’s something about the retail experience that can bring out the worst in people. Apologizing can help deescalate the situation while preserving the possibility of making a sale. Show empathy in your response. Really listen to the customer and try to understand their position. You won’t always be able to solve their problem in the moment, but you can salvage the relationship by demonstrating that you hear their concerns and care about finding a solution in the long-term. If possible, offer the customer some options for completing their transaction. They could use an alternate method of payment, such as cash or a personal check, or you could hold the merchandise aside until the machine is fixed, and then call them to let them know. When faced with a payment issue, always try to give the customer some alternatives, so as not to lose the sale. If you offer then the option to use cash, for example, be sure to give them the location of the nearest ATM. As long as the company policy doesn’t prohibit manual entries, offer to take the card information and enter it manually when the machine is back in service. Understand that some people are concerned with having their card info unsecured, so assure the customer that the information would be properly destroyed once the transaction was approved.